Mitchell Weiner, MD has been a practicing hospitalist with Access Health Care since December 2013. He came to Access Health Care from Oak Hill Hospital where he was also a practicing hospitalist. Dr. Weiner completed a pulmonary medicine Fellowship at Michael Reese Hospital & Medical Center in Chicago, Illinois. He completed a residency in internal medicine at Northwestern University Medical School and received his Doctor of Medicine degree from the University of Health Sciences, Chicago Medical School. 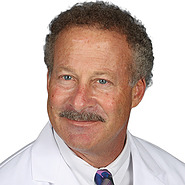 Dr. Weiner also holds a Bachelor of Arts degree from Lake Forest College in Lake Forest, Illinois.